Living Legends was a community conservation project that was set up in 2011 to celebrate and leave a legacy of New Zealand’s hosting of Rugby World Cup. 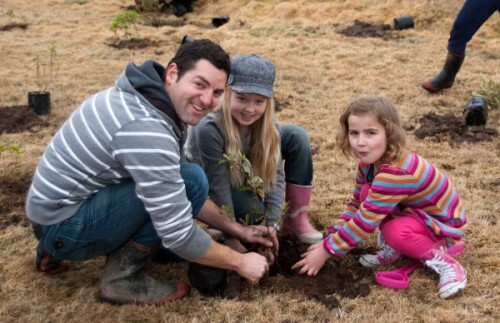 In 2011, 2012 and 2013 thousands of Kiwis helped to plant 170,000 native trees at our planting events all around the country. There were 17 planting projects throughout New Zealand, each dedicated to a regional ‘Rugby Legend’ who was selected in 2011 by their provincial rugby union. These Rugby Legends are people who have made an outstanding contribution to rugby in New Zealand. Living Legends was a joint venture of Project Crimson, an environmental charity with 26 years experience in community-based native restoration projects and The Tindall Foundation. We also had the support of major sponsors the Department of Conservation and Meridian Energy. You can find out more about the project on this short video clip or read the e-book about the completed project.